Bride Kim Woolnough made it her mission to have a virtually waste-free wedding when she tied the knot with her now-husband Dan in April. 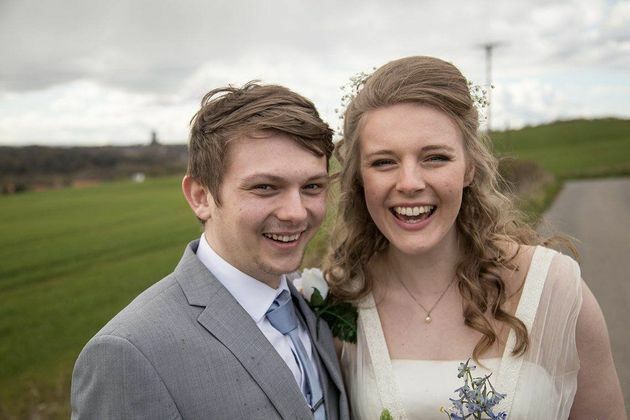 The bride and groommet in 2014 when they were both interning in Durham, England. “We didn’t want to waste a single thing, so everything had been recycled in some way,” the bride said. 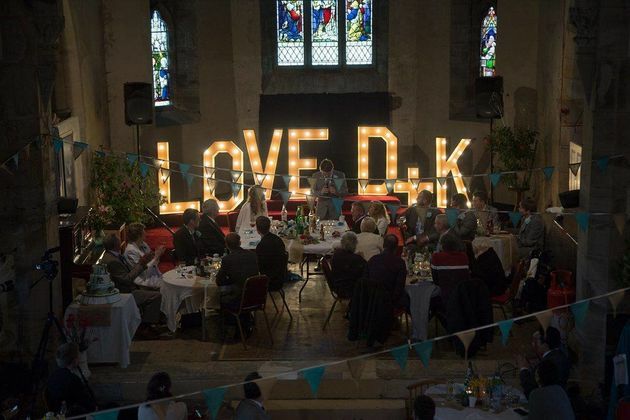 The Durham, U.K. couple spent £3,000 pounds (about $4,000) on the occasion thanks to some creativity and their thrifty spirit. 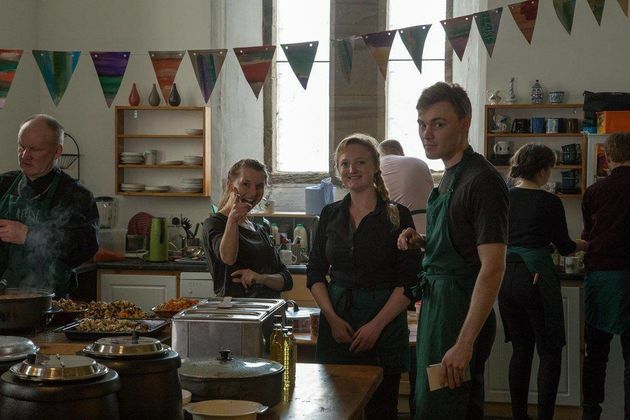 For the wedding meal, they teamed up with the Real Junk Food Project, an organization that creates meals from food past its “sell by” date that grocery stores and bakeries would have otherwise thrown away. “The team called ReFuse from the Real Junk Food Project wasincredible and we’re thankful for their help. They’re an amazing organization,” the bride said. “Some of our guests thought it was a bit weird that we were having out-of-date food for the wedding breakfast but everyone said it was really tasty,” the bride said. The meal consisted of tomato and red pepper soup, followed by vegetable curry or pasta and a number of desserts. At the end of the day, the Woolnoughs encouraged guests to bring home any leftovers. “The food was all past its shelf life but still perfectly fine to eat. In fact it was delicious!”the bride said. 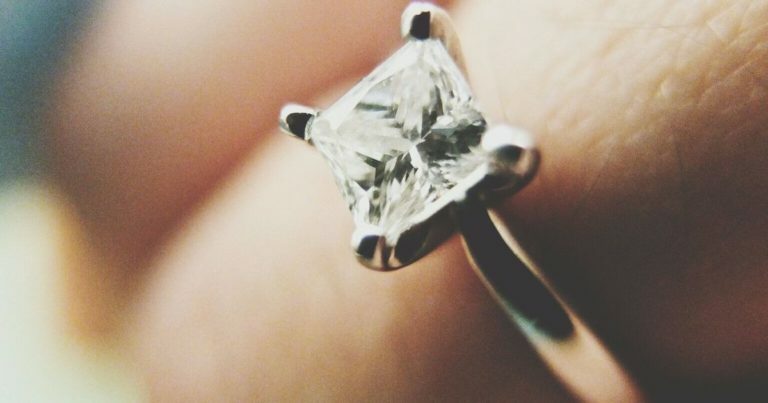 The bride found her wedding dress on online classifieds website Gumtree for $105. “I had a few alterations made so that it fit me, but the lady was so glad that the dress was going to be used again,” Woolnough said. The bride is anurse and the groom works in sales. Even the wedding rings, purchased on Etsy, were made of reused metals. To save paper, the couple sent out their save-the-dates via email. The invitations were made from recycled paper. 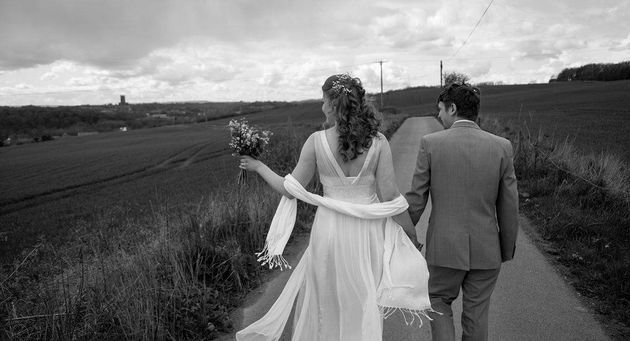 The bride wore a second-hand wedding dress that she found on Gumtree. 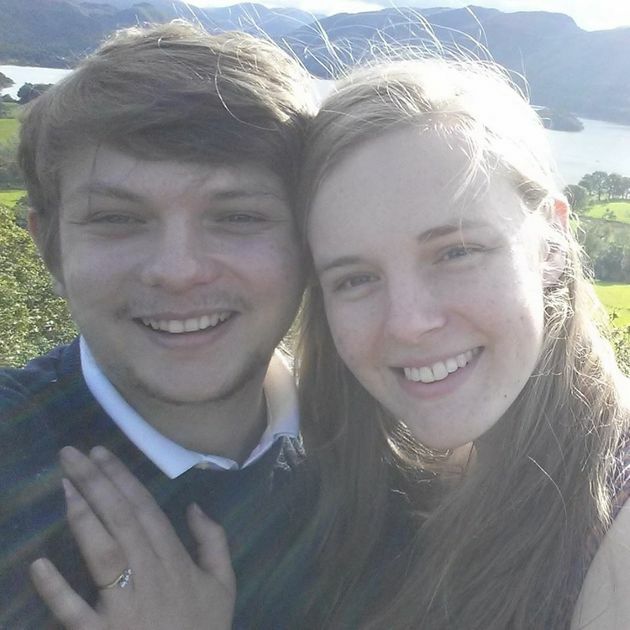 In September 2015,Dan popped the question to Kim. Brides and grooms in other parts of the world are making similar efforts to reduce wedding waste. 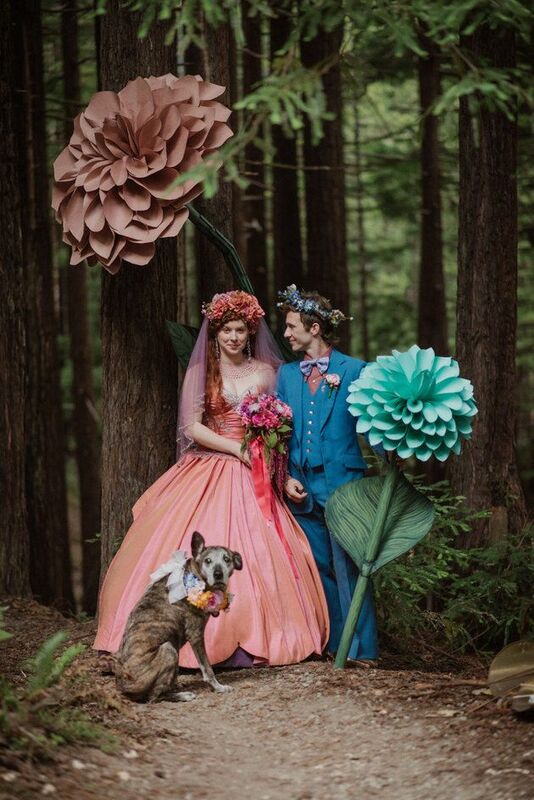 Earlier this year, Australian couple Kat Kleu and Michael Malone threw an “organic” wedding, which consisted of recycled tables and chairs, homebrewed beer and eco-friendly confetti made from flower petals. “They just really were about having it as organic as possible, and just leaving the natural beauty of the surrounds to speak for itself,” wedding photographer Mitch Pohl said. 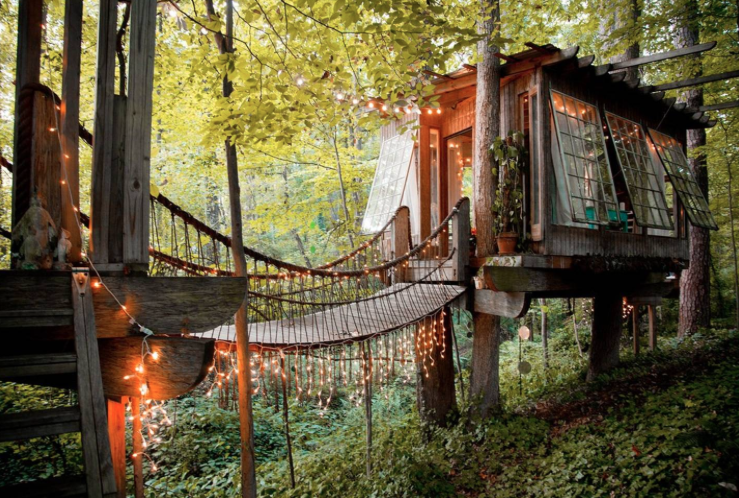 In 2015, Melissa Castaneda and her husband Benjamin Turner planned a multi-day wedding camp out in the woods of Mendocino, California that included many recycled and DIY elements. The bride and groom donated the leftover food from the celebration to food banks. One of Castaneda’s friends even found the wedding dress she wore for the big day discarded in a dumpster. “Our goal was to buy nothing new, except food and flowers, of course,” the bride previously told HuffPost. Check out other simple ways to make your wedding less wasteful here.